LaBelleMadeleine: Matcha Love ~ Yes or No? I was wondering if also you have the "matcha fever"..I don't even know if that's a thing, but I have been noticing more and more how popular matcha is becoming. If you are among those who don't know what I'm talking about, you can get instructed through this LINK and wikipedia will magically answer all your questions. You'll need this for the Latte recipe. It looks and sounds delicious, a creamy green tea... kind of like a mixture between a tea and a cappuccino! It's on my wish-list of new drinks to try. 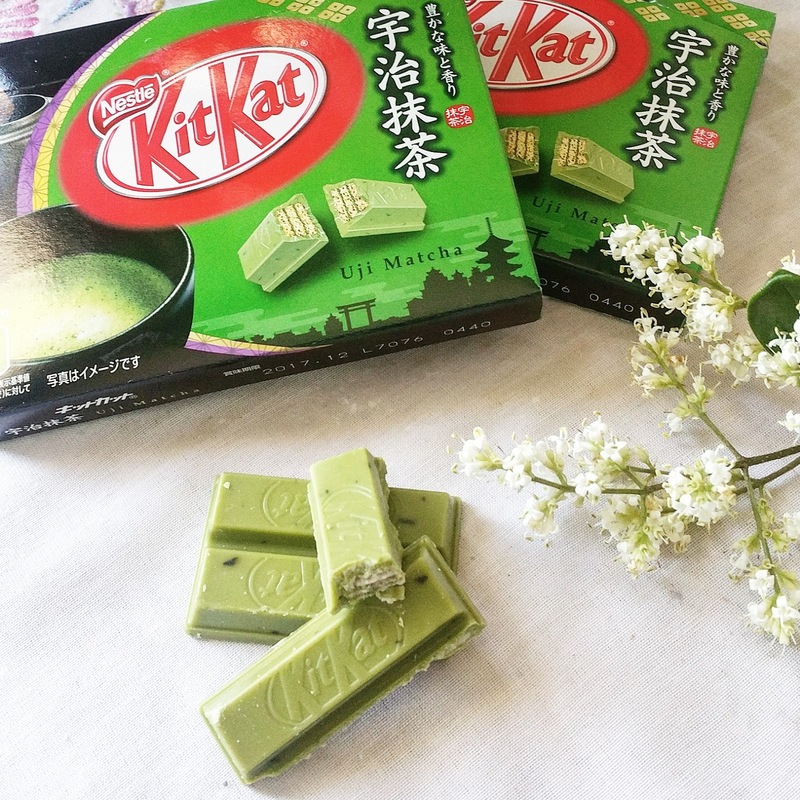 My only experience with matcha is the KitKat candy bar!! I was so fortunate to have a friend traveling through Japan, I asked him to buy me one "green KitKat" and he brought me a whole box!! I have been sharing the delicious treats with my husband and kids. I posted a picture on my Instagram and a few people were curious about it...so I decided to share the link where you all can find it without having to go to Japan! You need to try it! Please let me know your experience about this new trend!! Have you tried anything matcha? Do you like it? Leave a comment if you like.